How do HR Systems support your decision making process? https://www.smarthr.co.za/wp-content/uploads/2018/10/SmartHRWebLogo.png 0 0 brendon https://www.smarthr.co.za/wp-content/uploads/2018/10/SmartHRWebLogo.png brendon2016-06-09 13:06:572016-06-17 07:35:19How do HR Systems support your decision making process? 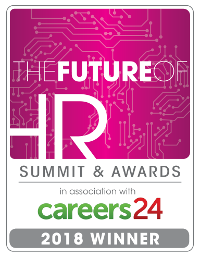 How will an HR Management System impact our bottom line? https://www.smarthr.co.za/wp-content/uploads/2018/10/SmartHRWebLogo.png 0 0 brendon https://www.smarthr.co.za/wp-content/uploads/2018/10/SmartHRWebLogo.png brendon2016-06-09 07:28:192016-06-17 07:41:07How will an HR Management System impact our bottom line? Why do I need an HR Solution? https://www.smarthr.co.za/wp-content/uploads/2018/10/SmartHRWebLogo.png 0 0 brendon https://www.smarthr.co.za/wp-content/uploads/2018/10/SmartHRWebLogo.png brendon2016-05-27 09:17:512016-06-09 07:03:20Why do I need an HR Solution?